According to Reuters, the Egyptian Health Ministry reported on Saturday that 29 people have been killed in Cairo street protests held on the third anniversary of the so-called Arab Spring, the broad-based populist movement that arose against the Mubarak dictatorship in January 2011. The figure represents a marked increase from the 12 fatalities reported earlier in the day. While much of the world's attention has been focused on Tahrir Square in downtown Cairo, which became the unofficial headquarters of much of the protests, some of today's violence occurred in various cities and towns throughout Egypt. In the coastal city of Suez, about 80 miles from Cairo, there were reports that a car bomb exploded near a local police outpost, Reuters says. Nine people are thought to have been killed in various parts of the capital, and at least one woman was killed in Alexandria, Egypt's second-largest city. And Reuters also reports that two deaths were confirmed by Brig. Gen. Hisham Nasr, a police official, the result of a clash between Islamists and government security forces. 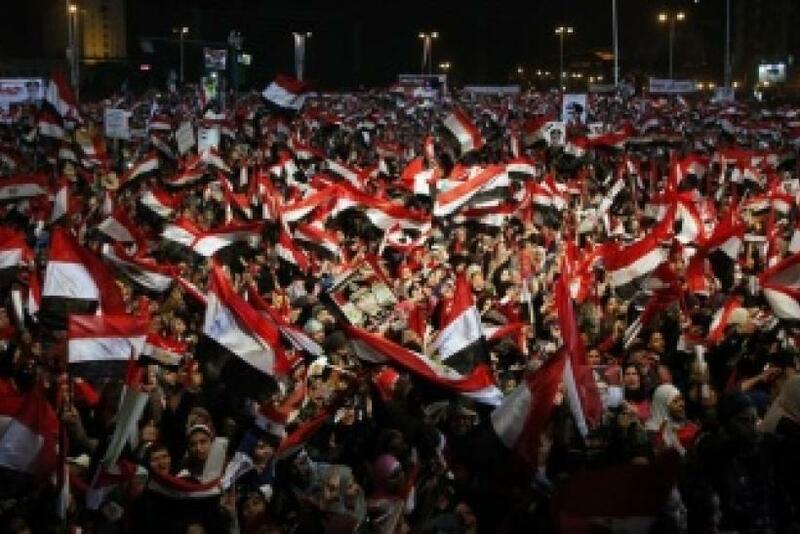 In addition to commemorating the fall of ex-president Mubarak, today's demonstrations were in large part meant to solidify popular support for Egypt's military leader, Gen. Abdel Fattah al-Sisi. Sisi gained power after the ouster of Mohamed Morsi of the Muslim Brotherhood last July.